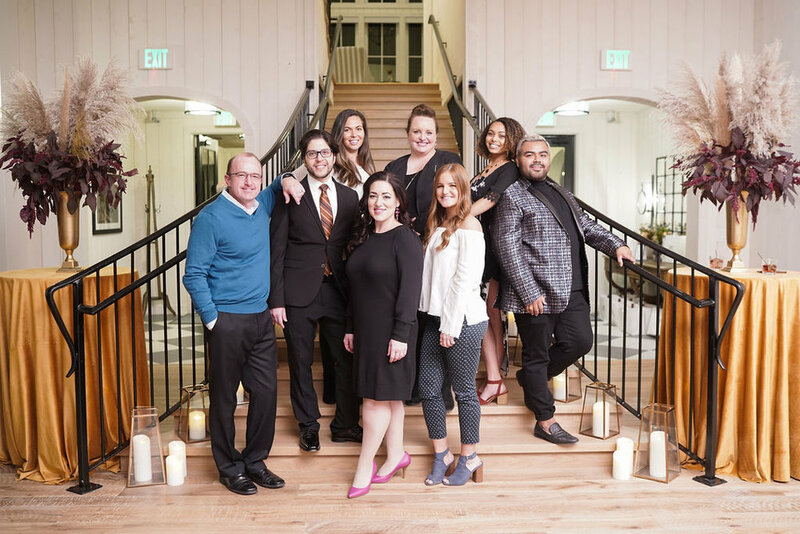 Earlier this month, we had the incredible opportunity to design, plan, and execute the grand opening for River Bottoms Ranch, a gorgeous new wedding and event venue in Midway, Utah. 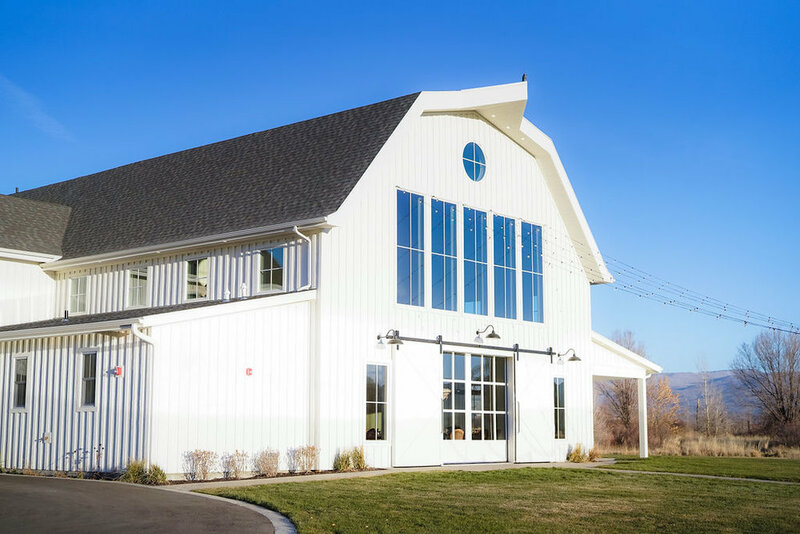 Designing this stunning, all white barn was refreshing and so much fun! The layout consisted of both round and farmhouse style tables. 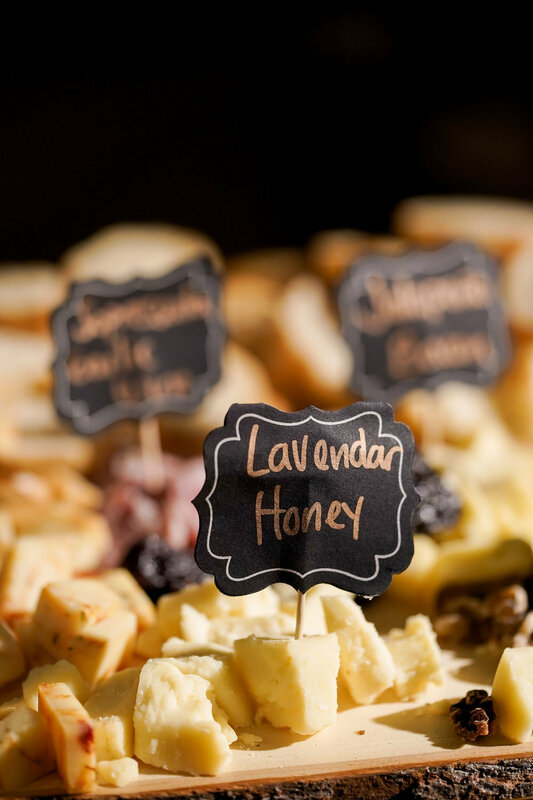 Fun fact: the venue had these farmhouse tables custom made and they are dreamy to say the least! The round tables featured a deep blue linen with flecks of gold running through it, topped with a gold rimmed glass charger, a golden yellow velvet napkin, and gold flatware. Above the round tables were chandeliers covered in pampas grass, which added a gorgeous texture to the overall design. 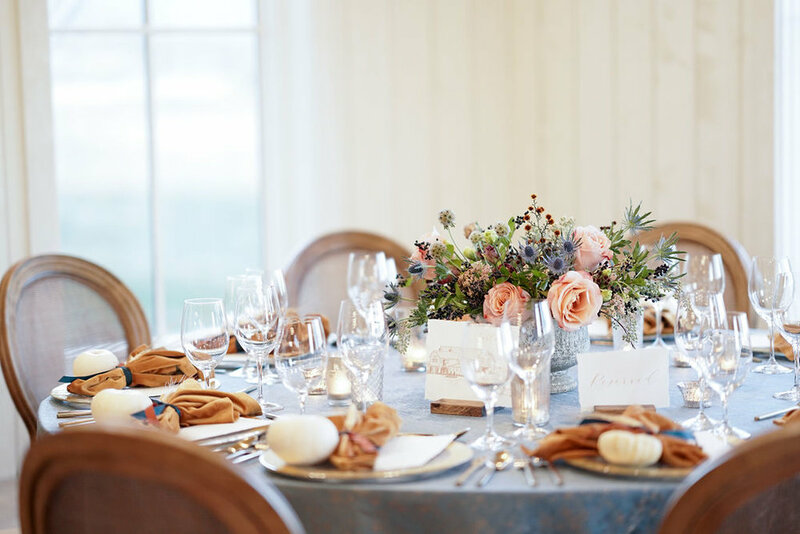 The farmhouse tables featured a tone-on-tone patterned, soft pink table runner, finished with a textured burnt orange glass charger, a blue linen napkin, and rose gold flatware. 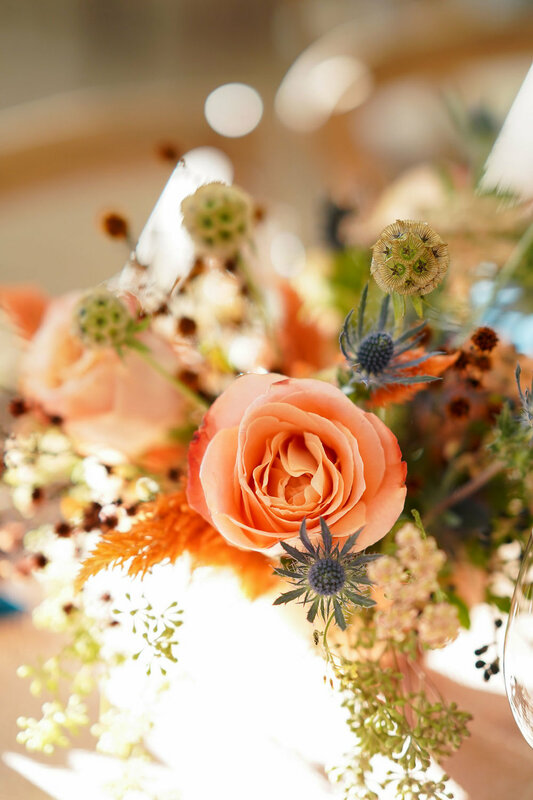 Every table was adorned with a centerpiece full of fresh, soft blooms in vibrant fall shades, as well as greenery and thistles that added the most amazing texture. 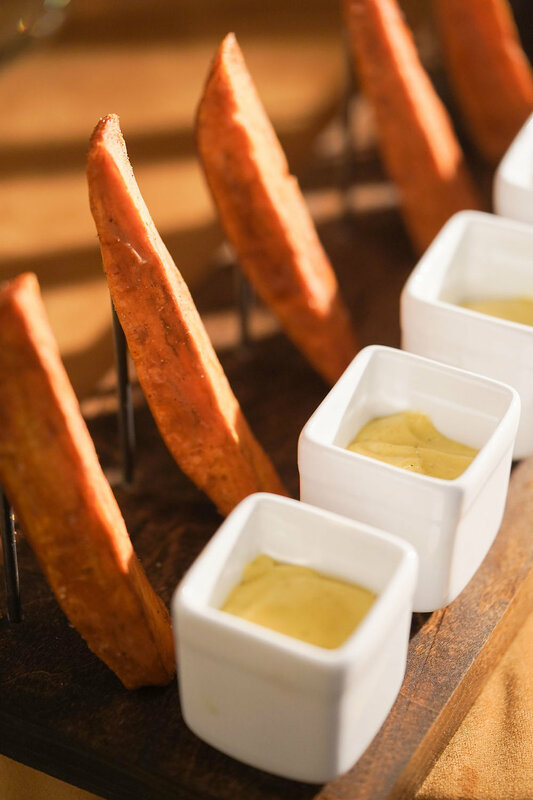 Each place setting also included a custom letterpress menu, a miniature pumpkin, and the napkins tied with wheat, a cinnamon stick, and coordinating silk ribbon. 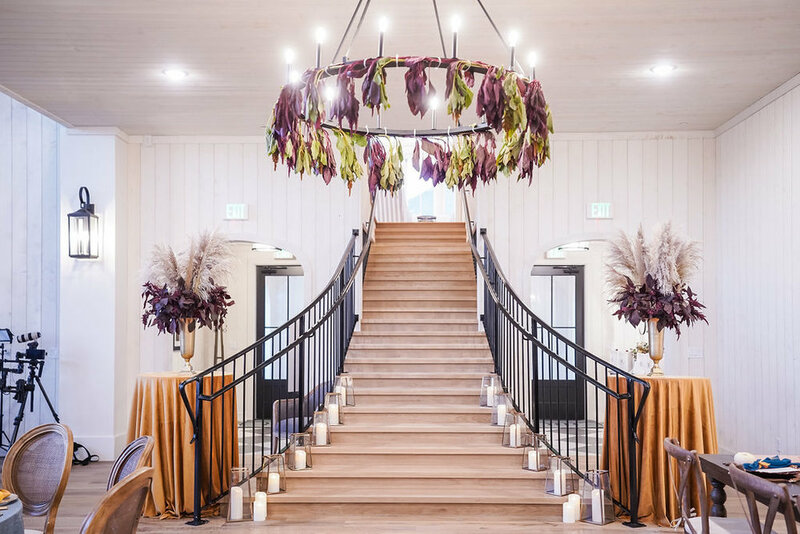 Other details include the pampas grass and amaranthus framing the grand staircase, as well as the candles leading up either side, and amaranthus hanging from the main chandelier. 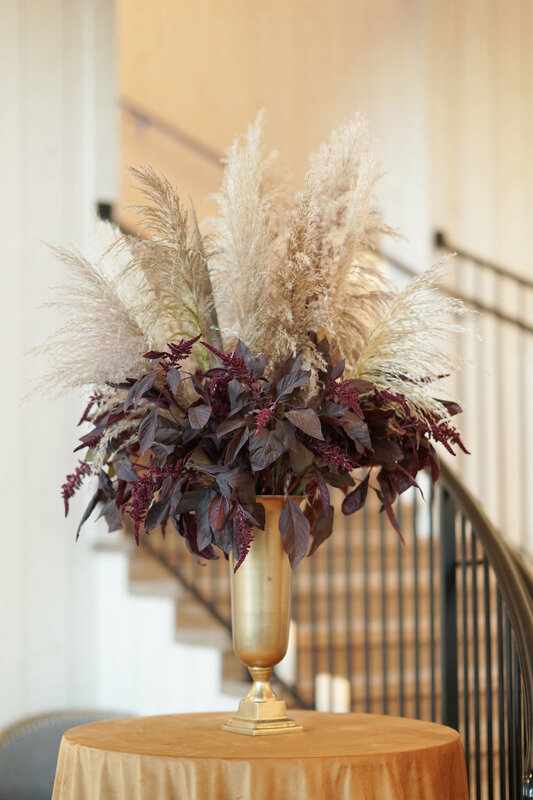 We loved the unconventional fall color palette and the awe-inspiring ambiance felt in the space. We are so honored to have been a part of this wonderful event and look forward to planning weddings and events here in the coming year!